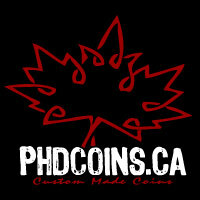 All Avroair Spitfires are 50% off this week at PHDCoins.ca! Spitfires served on many of the Second World War battle fronts, including North Africa, Italy, Normandy, Asia, and Australia. The Spitfires are trackable at geocaching.com and the propeller spins!